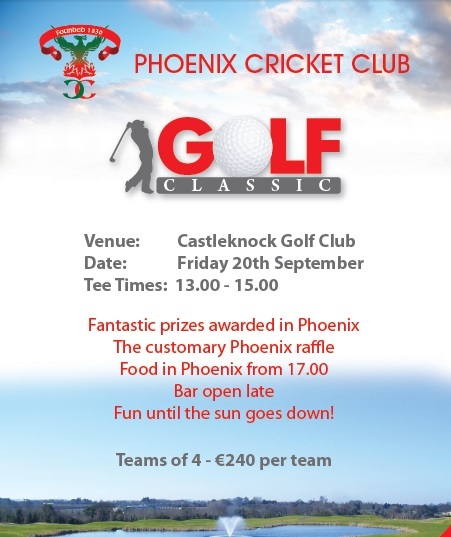 The Phoenix Golf Classic will take place in the beautiful surrounds of Castleknock Golf Club on Friday September 20th. This is always an enjoyable event and an important fundraiser for the club so we ask all our members to get involved! A team of 4 is €240 and the tee times are from 1pm to 3pm. There will be some fantastic prizes on offer for the Phoenix raffle later on and food will be served in the club from 5pm onward. It is set to be a great event so get signing up now!